Former Ulster Unionist Derry City Councillor Ernie Hamilton has died after a long illness. 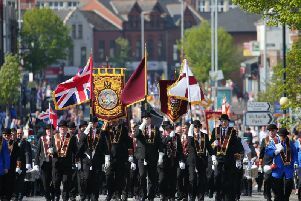 Mr Hamilton, who was a longstanding member of the Orange Order is srvived by his wife Mary, a current Ulster Unionist councillor on Derry City and Strabane District Council. The funeral will take place in Claudy on Monday April 30.